Campaigning had ended on Saturday, January 26. 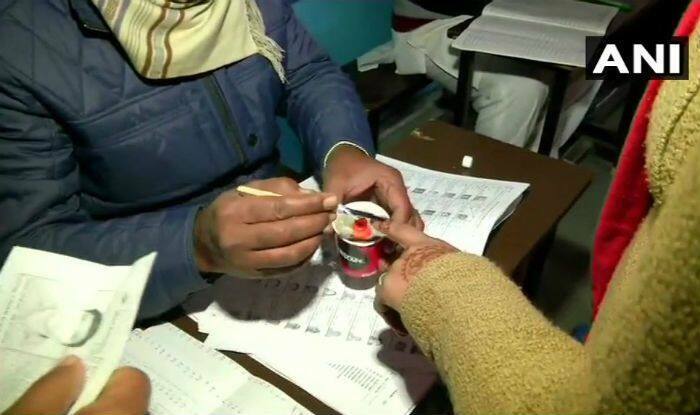 Jind (Haryana): Polling began for Assembly by-poll in Jind and Ramgarh on Monday. Major political parties like the ruling BJP, Opposition INLD, Congress and the newly floated Jannayak Janta Party (JJP) are in the fight. Prominent among the candidates are senior Congress leader Randeep Singh Surjewala, who is also the party’s sitting MLA from Kaithal, the late Hari Chand Middha’s son and ruling BJP candidate Krishan Middha and INLD’s Umed Singh Redhu. The by-poll was necessitated following the death of Hari Chand Midha on August 26. The counting of votes is scheduled for January 31. Rajasthan’s Ramgarh is witnessing a triangular contest though there are 21 candidates in the fray. The fight is concentrated among Congress’s Safia Khan, BJP’s Sukhawant Singh and Bahujan Samaj Party candidate Jagat Singh—a two-time MLA and the son of former external affairs minister Natwar Singh. Campaigning had ended on Saturday. In Jind, the ruling BJP is banking on Middh’a son Krishan, a Punjabi, while INLD has nominated local Jat leader Umedh Singh Redhu, who is also backed by a faction of prominent Kandela Khap (a caste council). Reports pointed out how the by-poll had brought about rare unity among Congress rank as party’s top leaders, including former chief minister Bhupinder Singh Hooda, state party chief Ashok Tanwar, late CM Bhajan Lal’s son Kuldeep Bishnoi, CLP leader Kiran Choudhary and party MP Kumari Selja campaigned for Surjewala. For BJP’s Middha, the campaigners included right from Chief Minister Manohar Lal Khattar to Cabinet ministers Rambilas Sharma, Capt Abhimanyu and Manish Grover, besides Union minister Choudhary Birendar. The campaigning was dominated by charges and counter-charges with arch rivals BJP, Congress, INLD and JJP eyeing the results as a self-assessment exercise in what has been dubbed by many a “semi-final” ahead of Lok Sabha polls this year. While Surjewala has sought vote promising an all-round progress of Jind, Midha has sought to bank upon the developmental works done by the BJP government in Haryana.